We are on the countdown for summer and I cannot wait! Keeping Up With Kids is your best resource for summer fun! I have listed below some of our favorite summer deals and places! This is the way to do summer on a budget! Water Fun! 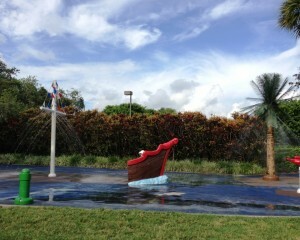 One of our favorites is Coconut Cove Water Park in Boca. Most all the water parks in Broward and Palm Beach County open every day for the summer starting June 5th or 6th. You can find many more of our favorite Splash Pads and Water Parks under the menu tab Events and Review, scroll down to Water Play. Indoor Museums are the best bet for those days that you just can’t face the heat or the summer storms are making outdoor play tough. 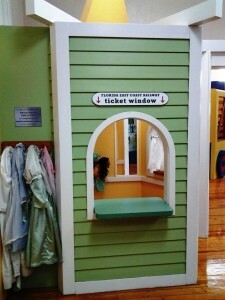 Boca Children’s Museum is a great one for the little ones (Preschool) or Schoolhouse Museum in Boynton Beach is perfect for younger school age kids! You can find more of our favorite museums under the menu tab Events and Review, scroll down to Museums. There are some great deals out there this summer. 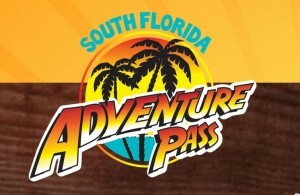 The Florida Summer Adventure Pass is a new one this year! It allows you to visit Everglades Alligator Farm, Flamingo Gardens, Jungle Island, Patricia & Phillip Frost Museum of Science, Perez Art Museum Miami, Sawgrass Recreation Park, and Young at Art Museum as often as you like from May 15 through September 30, 2015. Imagine you get up on a Tuesday or Wednesday morning and just don’t know what to do! Here is your answer! Click here for listing and movie times! Take the kids Bowling for free! If you sign up for free, your kids get to bowl (2 games a day) for free all summer long! The Summer Saving Pass! We pick this Summer Saving Pass up every year. It is a great deal, you get unlimited admission to four different attractions. The Museum of Discovery and Science, Lion Country Safari, Miami Seaquarium, and Miami Metro Zoo. Click Here for the full list of upcoming mostly free events! This entry was posted in Florida, Summer Picks and tagged bowling, free activities, Kids Events, movies, museum reviews, South Florida, splash pads, Summer Deals, water parks by Cynthia Buckley. Bookmark the permalink.